Founded in 1994 and headquartered next to the modern Business Park Sofia, MAP Marketing Research is Bulgaria's first online market research firm that provides outsourced services to market and consumer research providers in many different disciplines including but not limited to Market Research, Customer Satisfaction, Consumer Research, Customer Experience, and Public Opinion Polling. What makes us different is that we are not only a market research firm but we are also a technology company. We combine the power of superior industry talent with innovative leading technology. Your search for high quality market and consumer research solutions comes to an end with MAP Marketing Research . Our respected market research team, with cutting-edge technology and unparalleled coverage, guarantees our ability to provide reliable service that will enable our customers to make meaningful, strategic business decisions. Our vast expertise in the market research industry will be an essential tool to enable the development of all of your company's goals.  MAP Marketing Research is a founding corporate member of BAMOR, the self-regulatory Association which governs and represents the market, survey, and public opinion industry in Bulgaria. © 2018 MAP marketing research. All Rights Reserved.